Oh look, a bucket of leaves and rope. So once again we've been graced with a mystery visitor in the treehouse, specifically inside the bucket. Faithful readers will recall that last year I stumbled across evidence that our otherwise tidy treehouse actually had a squatter over the winter. 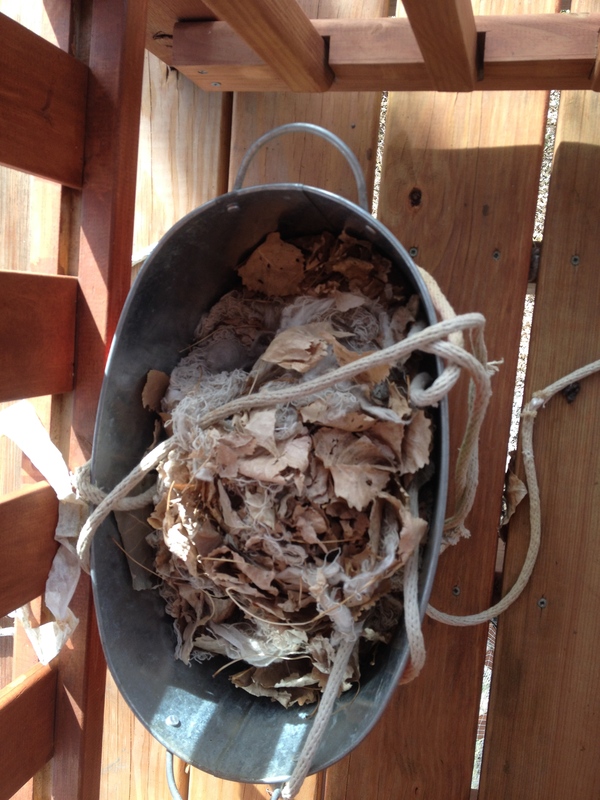 At that time I'd really no idea who it might've been; it had made a nest behind the door out of leaves and the cotton rope I'd left coiled in this wide metal pail. This year, however, he or one of his colleagues had just built the nest inside the pail itself. Now generally speaking, I like to stay off the treehouse rope ladder all winter. Water can soak into the rope, then it freezes, then putting weight on the thing might cause slow but irreparable damage. But at the same time I really, really wanted to see who lived in this super great spot -- and clearly planned on wintering there. 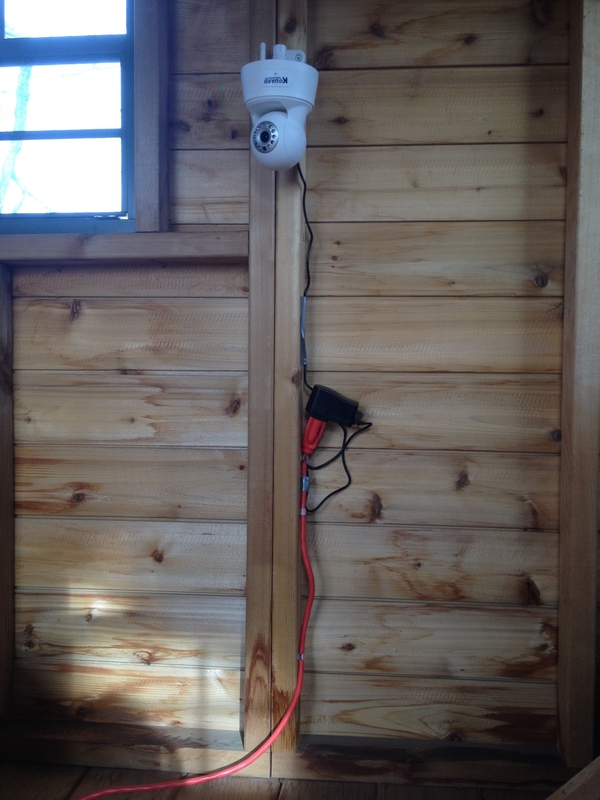 So I did the only sensible thing; I brought the pail and nest inside the treehouse, bungied the door open for the winter (prevailing winds come the other way anyhow), dropped a long extension cord down the trap door, and set up an IP camera. The surveillance state has landed inside America's treehouses. The result was satisfying, and took just a few hours! There's the cute little rascal. He seems most active up in the treehouse in the early evening, then hunkers down for the night and heads out in the morning if it's not too cold. My now-6-year-old daughter named him Fuzzball. We'll see if "he" has babies -- which the internet tells me is pretty likely, considering the quality of the nest and the timing. I'm trying to figure out how to make this incredibly interesting view available for public view, which is taxing my meager technology skills. Want to see more interesting stuff? Read about our VW Bus Bed Build, or maybe the Solar Stock Tank Swimming Pool. If you're not tired of beekeeping stuff, see how our bees deal with unwanted intruders as the Hive Guards Repel a Robber Bee. Or, visit the Chicken Coop Playhouse!